The WAR of 1812 is better described as the Gravity WAR of 1812 with Nature's GB = Gravity Base --> Great Britain. This makes sense ...since Great Britain has some humanoids ...whose brain cell MASS interacts with the gravity field. Such rare bio-computer humanoids used their brain SYMBOLIC MACHINE to have a data processing interaction with the gravity field ... thus producing gravity DATA FIELDs ..... AND then some of those humanoids managed to write those gravity information DATA fields ONTO a cellulose piece of paper ....... with words and equations ...for other to study. 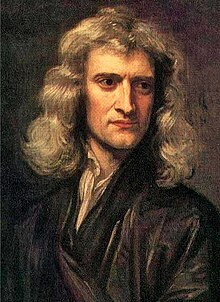 Thus the the British gravity agents from Isaac Newton thru Stephen Hawking and his gravity BRIDGE group at the EARTH location for gravity CAM = Computer Aided Man ( ManUfact U ring ---> word is a UNION of algebra sets: Man + gravity FACTS + ring). Let's review the gravity WAR OF 1812 secrets of Cambridge University and their friends. Andrew Jackson leads the defence of New Orleans. The War of 1812 was a 32-month military conflict between the United States and the British Empire and their Indian allies which resulted in no territorial change between the Empire and the US, but a resolution of many issues which remained from the American War of Independence. The United States declared war in 1812. What other gravity war identifiers exist in the gravity WAR history reports? At the end of the war, both sides occupied parts of the other's land, but these areas were restored by the Treaty of Ghent. parts of the other's land, but these areas were restored by the Treaty of Ghent. areas were restored by the Treaty of Ghent. areas were restored by the Treaty of G = universal gravitational constant. Humans are atomic MASS bio-physics bio-gravity objects that exist and move around within the Earth's surface gravity field. Thus Nature can use humanoids as agents/ expressors of gravity field and EARTH political science conflicts. What are some modern examples of gravity representatives and their SECRETS. 1) Gabby Giffords being shot in Arizona in the gravity HIGHWAY war zone region of ROUTE 66. Agent Gabby --> agent G --> 6.6 x 1o -sku11 ... was shot in the sku11 ....a reminder of number 11 (eleven) in the gravity equation. NASA silence ...... suggests they deny the existence of gravity interaction with human mass = weight ...... . those are grave thoughts .... serious thoughts from NATURE's systems to NASA. 2) The gravity murder ...the shooting of Jake Gerard in Milwaukee Wisconsin. 3) The Isaac NEWTON Gravity agent from the gravity STATE of G (Georgia). Ask Newt G. about the gravity government ...... he was a Congressman from the Carbon atomic number 6th district within the gravity State of G (Georgia). Georgia TECH can explain everything about the secret gravity geography STATE of Georgia ...... and the gravity STATE of MIND ..Georgia society. It least we live in an interesting world of many secret puzzles ... waiting for discovery in year 2013.